Exclusive! Roomy and durable carry-all features a colorful tropical scene printed on both sides. 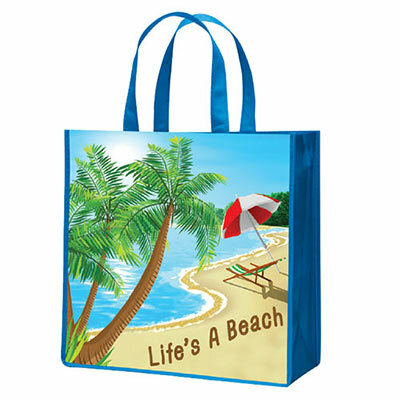 Our Tropical Paradise Tote makes a great beach or pool tote. Non-woven polyester is coated for easy cleaning. Imported. 14"w, 12"l handles.